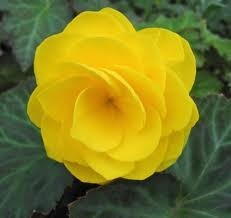 One way to add more begonias to your garden is by taking cuttings from existing plants. But before the cuttings can be planted, they will need to be rooted. Here are some quick and simple steps to root your cuttings in a makeshift greenhouse. Cork the bottom of the clay pot to block its drainage hole. Fill the plastic pot with vermiculite. Push the clay pot into the center of the plastic pot, so that the smaller pot is buried to its rim in the vermiculite. There should be a 3-inch ring of vermiculite surrounding the clay pot. Fill the clay pot with water. Insert cuttings (each approximately 3 inches of stem taken from a begonia) into the vermiculite, about an inch. Enclose the pots and cuttings in a plastic bag to create a greenhouse. The water in the center pot will serve as a water reserve, to slowly water the cuttings while they root. Place in a warm area with indirect light. It will take two weeks to a month for the cuttings to be well rooted. After the cuttings root, do not immediately remove them from the greenhouse for planting. Instead, open the greenhouse a bit each day, to help the cuttings adjust to the humidity. 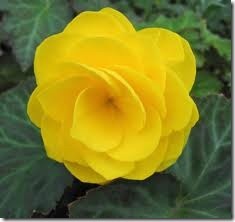 Do not injure the stem, as that can increase the potential for plant disease.